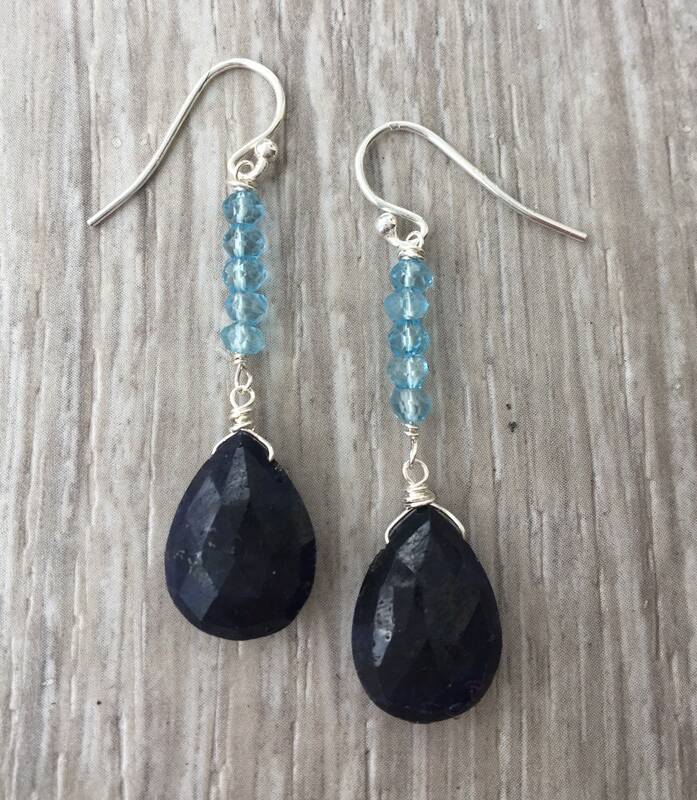 These sterling silver earrings have five Swiss Blue Topaz gems. A tear shape Blue Sapphire gem is hand wired to these topaz stones. The Blue topaz measures 11 x 16 mm. 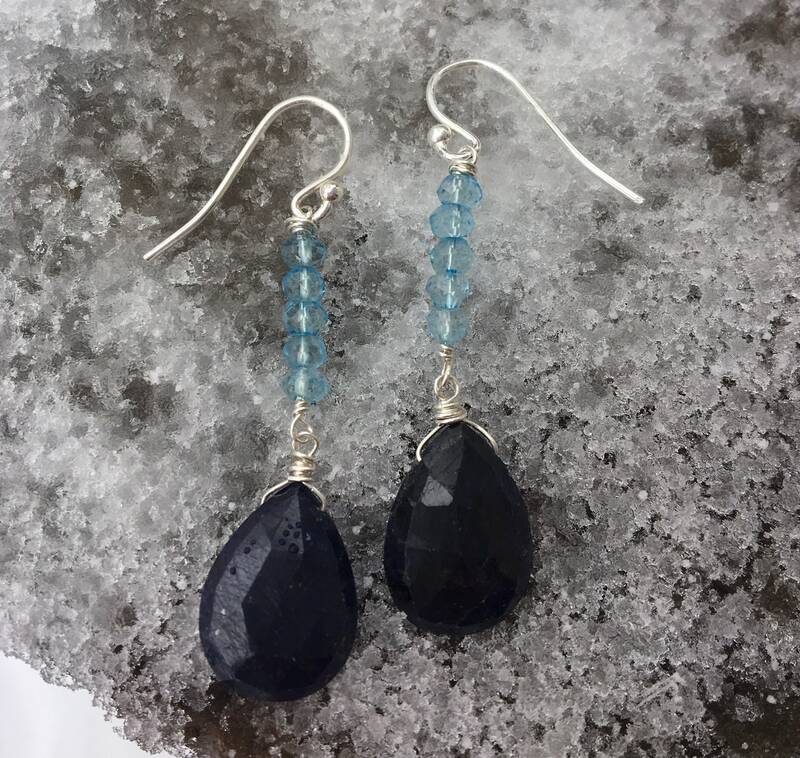 All the peaceful blue tones are seen throughout these earrings. 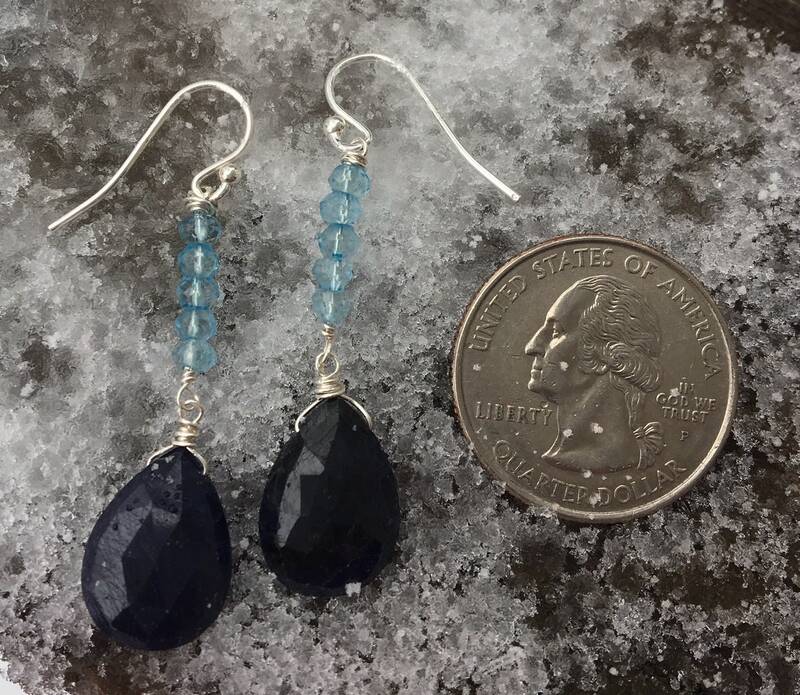 Each earring measures 1 7/8" long including the ear wires. You may choose lever backs if you prefer for the earring wires.